We're all very excited because FIRA (the Federation of International Robot soccer Association), which runs an annual competition for robot soccer (and other robot sports), has awarded the 2012 event to the Bristol Robotics Lab. The 2010 event was held in Bangalore, India: check here for the web pages with 2010 results and some terrific videos. This year FIRA 2011 will be in Kaohsiung, Taiwan. FIRA 2012 will run from 20 - 25 August 2012, just a week or so after London 2012. Alongside FIRA 2012 will be two robotics conferences: the FIRA Congress and TAROS 2012 (Towards Autonomous Robotic Systems). Here is the (under development) FIRA-TAROS 2012 web site. Here is the joint University of Bristol, UWE press release announcing the event. The FIRA robot world cup games currently fall into 7 categories and each category is defined by the type of robot and, typically, has its own set of rules. The first six categories are all real physical robots, the 7th - SimuroSot - is all in simulation. Here's a brief summary of the 6 real robot categories with links to the full descriptions and rules on the FIRA web pages. 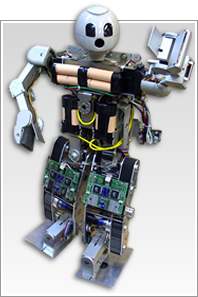 HuroSot is the main category for bipedal (walking and running) humanoid robots. It is also the most comprehensive category - in addition to soccer the category includes competitions for basketball, wall climbing, weight lifting and marathon running. HuroSot robots can be up to 130cm in height, and weigh up to 30kg. We will be entering a Bristol team for HuroSot. Here are some nice videos of HuroSot competitions in 2009. 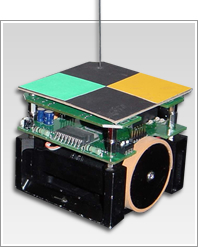 Amiresot is a simple one-a-side soccer game for the small Amire wheeled robot, which must be fully autonomous with its own vision system. AmireSot robots play with a yellow tennis ball. MiroSot is the Micro Robot soccer game for wheeled robots. 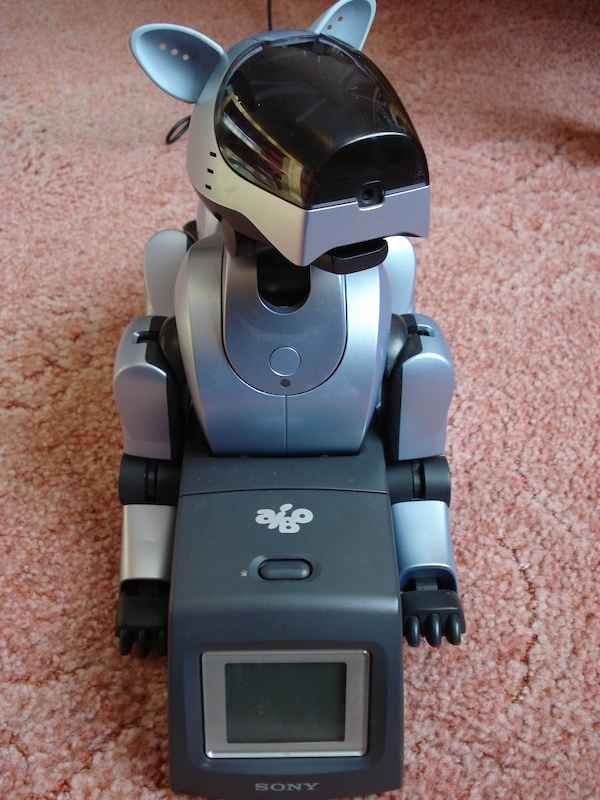 It's a three-a-side game (one player can be a goalkeeper), in which an external vision system tracks the position of robots - and the ball - and an external computer system computes and relays moves to the robots. Robots cannot be larger than 7.5cm x 7.5cm x 7.5cm and they play with an orange golf ball. Here is a page with a video of a 2009 MiroSot game. NaroSot is similar to MiroSot but with smaller wheeled robots (4cm x 4cm x 5.5cm) and is a five-a-side game. NaroSot robots play with an orange ping-pong ball. 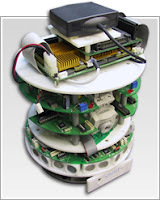 AndroSot is a three-a-side game for fully autonomous 'android' robots between 30 and 60cm in height. Here is a video of a 2009 AndroSot game. 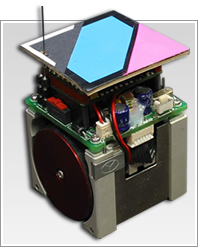 RoboSot is a game for larger wheeled robots (20cm x 20cm x any height). It's a three-a-side game and the robots must use on-board vision, although computation may be off-board. RoboSot robots play with a yellow/green tennis ball. Four short months and 135 tweets ago I wrote about joining Twitter. Slightly reluctant, confused by how it worked and - if I'm completely honest - a bit sniffy about whether I could be bothered with it at all. But just a week ago I stunned myself by realising that Twitter is now the first thing I check in the morning. Not email. After the best part of 15 years of first ritually checking my email Twitter has knocked email off the top spot(1). So what happened? What is it about Twitter that is so compelling, so addictive? Why do I love Twitter? Actually that was just the first surprise. The second was to realise I was so pleased when my number of followers reached 50, then 60 - and last week 70. But the thing that shocked me rigid a week ago was this. I found myself wondering how I might contrive person X (who I admired) to notice me and become my follower. What the hell was I thinking! Who's in control here - me or Twitter; do I have obsessive compulsive twitter syndrome? Do I need help - maybe go cold turkey for awhile? But then I started thinking about it and realised that there is a very ancient instinct at work here, and Twitter is just tickling that instinct in me. Perfectly. I'm talking about Machiavellian intelligence. The kind of social intelligence that is present to some degree in all primates and well developed in Chimpanzee and monkeys such as Rhesus Macaques. So what is this kind of social intelligence? Well, if you find yourself thinking: I'm going to make friends with him and pretend I like him, but not because I want to be his friend. Oh no: he has a friend that I really want to be friends with and - through this deception - I might achieve that goal. Then you are engaged in the social politics of Machiavellian intelligence. For anyone interested in intelligence, the evolution of human intelligence, or indeed AI, Machiavellian intelligence is very interesting because it requires Theory of Mind. It was probably already well developed in the most recent common ancestor of humans and chimpanzee, around 6 million years ago. I don't know whether it was intentional, but the very smart people who created Twitter have somehow built an ecosystem perfectly suited for this kind of game. The basic ingredients are these: firstly everyone has followers and people they follow (following). The fact that you can easily see the number of followers and following for those you follow, or who follow you, means that very quickly you establish exactly where you are in the Twitter social pecking order. These numbers mean alot to us. The alpha-tweeters are those with huge numbers of followers. They are, in the terminology of memetics, meme-founts - leaders of fashion. But even for those of us with modest circles of followers and following, the balance of numbers is significant. Our Machiavellian instinct tells us that those with a greater number of followers than following are, on balance, leaders whereas those whose following outnumbers their followers are, on balance, followers and therefore of lower Twitter status. Please understand I'm absolutely not saying they are less worthy individuals, only that this is what our Machiavellian instinct tells us in the game of Twitter. The second ingredient that is, I think, significant is the fact that you can easily see which followers or following you have in common with someone. So it is not just a matter of numbers, it's personal. Among those you follow, and those who follow you, you really can work out very quickly who is connected to who - and the connections have social structure. If I and someone else follow each other, then we are - in a sense - equal. If, on the other hand, I see that I'm following someone else, but they don't follow me, then my Machiavellian instinct places them higher up the Twitter social scale than me. Again this may not correlate at all to real-life standing. The point I'm making is that we can't help making these Machiavellian inferences - and Twitter makes it so easy. This brings me to the third and most brilliant ingredient: Re-tweeting. The politics of re-tweeting are fascinating and complex. Having one of your tweets re-tweeted is the equivalent of being stroked, and we love being stroked. I certainly experience a quantum of happiness(2) when one of my tweets is re-tweeted, and I'm even happier if it's re-tweeted several times. Conversely, I'm disappointed if a tweet that I thought was especially witty, insightful or apposite to current events fails to be re-tweeted. Indeed it appears to be good manners to thank those who have RT'd a tweet - which says alot of how much we value RTs. And of course to be re-tweeted by a Twitter celebrity is a precious honour, the equivalent of a favour by one of the princesses of the Twitter court. So Twitter is powerful stuff. It's not just a micro-blogging site, it is a quite remarkable place in which we can play out to the full our ancient instinct for Machiavellian social politics. And of course Twitter has proven itself to be a marvellous vehicle for grass-roots political activism. Is that something to do with Machiavellian intelligence too? So now I don't feel quite so bad about my new-found Twitter addiction. (2) I propose a new unit for a quantum of happiness: the RT (re-tweet). Given that the study of Artificial Intelligence is over 60 years old, and that of embodied AI (i.e. intelligent robotics) not much younger, the fact that roboticists can't properly answer the question "how intelligent are intelligent robots" is, to say the least, embarrassing. It is I believe a problem that needs some serious attention. Let's look at the question again. There is an implied abbreviation here: what my interlocutor means is: how intelligent are intelligent robots when compared with animals and humans? What's more we all assume a kind of 'scale' of intelligence - with humans (decidedly) at the top and, furthermore, a sense that a crocodile is smarter than a lobster, and a cat smarter than a crocodile. Where, then, would we place a robot vacuum cleaner, for instance, on this scale of animal intelligence? Ok. To answer the question we clearly need to find a single measure, or test, for intelligence that is general enough it can be applied to robots, animals or humans. It needs to have a single scale broad enough to accommodate human intelligence and simple animals. This metric - let's call it GIQ for General (non-species-specific) Intelligence Quotient - would need to be extensible downwards - to accommodate single celled organisms (or plants for that matter) and of course robots because they're not very smart. Thinking ahead it should also be extensible upwards for super-human AI (which we keep being told is only a few decades away). Does such a measure exist already? No, I don't think it does, but I did come across this news posting on physorg.com a few days ago with the promising opening line How do you use a scientific method to measure the intelligence of a human being, an animal, a machine or an extra-terrestrial? It refers to a paper titled Measuring Universal Intelligence: Towards an Anytime Intelligence Test. I haven't been able to read the paper (it is behind a paywall) but - even from the abstract - it's pretty clear the problem isn't solved. In any event I'm doubtful because the news writeup talks of "interactive exercises in settings with a difficulty level estimated by calculating the so-called Kolmogorov complexity", which suggests a test that the agent being tested has to engage in. Well that's not going to work if you're testing the intelligence of a spider is it? Interestingly, if we take the connectivity measure - which Jonathan Ball suggests offers the greatest degree of correlation with intelligence - then if our robot is controlled by an artificial neural network we might actually have a common basis for comparison of human and robot intelligence. But all of this presupposes, firstly, that we can agree on what we mean by 'intelligence' - which we do not. And secondly, that intelligence is a single thing that any one animal, or robot, can have more or less of* - which is also very doubtful. *An observation made by an anonymous reviewer of one of my papers, for which I am very grateful.